If a picture is worth a thousand words then a video is worth a million. As every lawyer knows, a crash will have multiple versions of the event; your client’s story, the defendant’s story, and the truth. A video always gets us to the truth. Rarely are we as lucky to have a client with a “Go Pro” or other device upon their bike but, when they do, it can be as good as gold. Here’s the story of such a case. On a weekday November morning our client “Joseph” was cycling down Washington Ave from his home in Brooklyn to the bike shop where he worked at in midtown Manhattan. Joe was doing everything right, wearing a helmet, cycling with traffic, was in the bike lane, and obeying all traffic laws. As he reached an intersection a livery cab was approaching from the opposite direction. As that car reached the intersection, it made a sudden left turn in front of him. No signal, no slowing, just a fast quick turn across traffic and into the bike lane. Joe impact the front right side and went over his bike. When the melee was over, he was left with a severe shoulder separation which ultimately required surgery to repair and months of rehab. Shortly after the crash Joe called my office. He shared with me the details of the crash and that the entire crash was recorded on his “Go Pro”. He retained my office that same day. With this evidence in hand we promptly filed suit against the livery driver. He was insured by the notorious American Transit Insurance Company who insurers approximately 80% of all taxi cabs and livery cabs in the City of New York. Our firm has litigated against them for years. We presently have over 40 claims involving American Transit Insurance Company and they make up the bulk of our trial work in NYC. Knowing this was the carrier, we were prepared for a fight. A few months later the defendant was produced for deposition. I got a sense at the beginning that the defense attorney did not know about the video, although it was properly exchanged by our office. A lucky break for us and another telltale sign of the quality of the defense provided by this insurance company. Seizing on this moment, I let the defendant dig his own hole. With no knowledge of the video, the defendant testified that he was traveling in the opposite direction, saw a cyclist approaching, and stopped to wait for him to cross before he began his left turn. 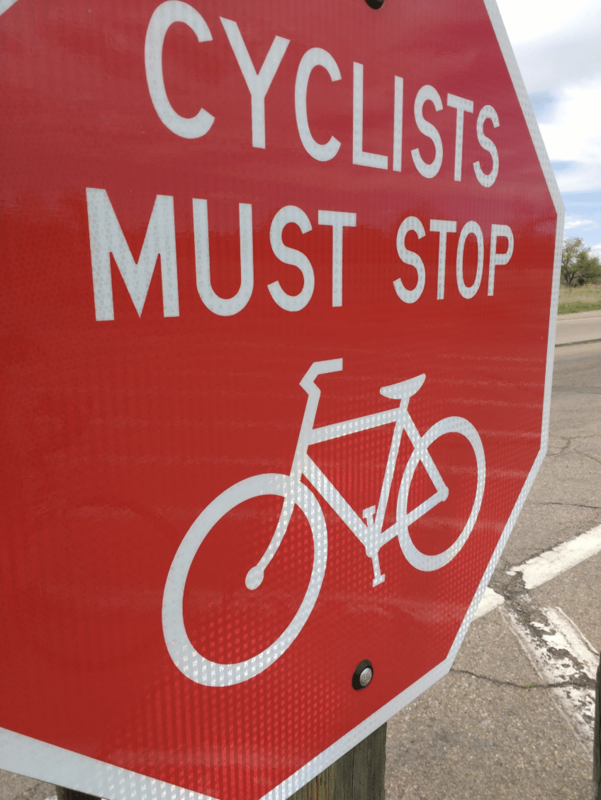 He testified that it was while stopped, waiting in the intersection, that it was the cyclist that crossed over the double yellow line and struck his stopped car. More than three times I asked him whether his vehicle was stopped when the impact occurred. Each and every time he answered, “Yes”. Now the fun begins. I mark the video as an exhibit and the defense attorney starts to squirm. I start showing the witness short pre-crash segments of the video so that I can lay a proper foundation. “You recognize that car depicted in the video”? “Yes that’s my car”. “Is that your license plate, Sir?” “Yes. It is”. You recognize the location seen in that video?” “Yes, that’s where the accident happened” The whole time the driver kept asking his lawyer, where did this video come from? Having the video in hand is simply not enough. Like any piece of evidence you intend to offer at trial, it must be admissible. In New York, like many other jurisdictions, in order to offer a video you must establish a “chain of custody”. This means you, as the client, have to secure the data and turn it over to your attorney in an unedited or unaltered state. To be used at trial, you must establish how the data was collected, downloaded, and saved to a DVD or Thumb Drive before it’s provided to your attorney. If that “chain of custody” is broken a jury will never see it. This summer Joe’s case finally came up for trial in the Supreme Court in Brooklyn. During conversations with defense counsel, I knew they would argue to the Judge that the video should be inadmissible. It was the only shot they had. We spent two days selecting a jury and were eventually assigned to a Trial Judge. As expected, the defense lawyer requested a hearing before the start of the trial on the admissibility of the video. After the argument, the Judge correctly ruled that the video was coming in. The “chain of custody” had been properly established and that the video would be seen by this jury. The defense lawyer left the Court room and went to make a call. Ten minutes later she was back in the Courtroom, doubling the pre-trial offer and the case was settled much to the satisfaction of our client. Even with a perfect set of facts and a competent lawyer at your side, nothing can help you more than a video. Whether it comes from a surveillance camera, a “Go Pro” or other devices, it is easily the best evidence your lawyer can ask for.